Organizations of all sizes are always in search of a way to cut down on their administrative overhead when it comes to timesheets and expense reports. Manual timesheets and expense reports, whether on paper or in a spreadsheet, cost time and money to submit and approve. That’s why a paperless timekeeping and expense reporting solution can make such a big difference to the organization’s bottom line. Employees, administrators, and high level managers need a cloud-based and mobile system that will simplify and streamline their process. These are the benefits of having an automated timesheet and expense reporting solution. End users will appreciate a system that reduces their manual workload. Using both an intuitive desktop version and a flexible mobile app, employees can complete their timesheets and expense reports using a system built with people in mind. The result is that you don’t have to spend time training every new user on the system because it’s intuitive enough to learn just by using it. Plus, if employees do have questions, help is available 24/7. Automation decreases the workload with tools like Expense EXPRESS and Receipt EXPRESS. Using these systems, employees just have to take a picture of their receipt and the system uses OCR to digitally “read” the receipt and input relevant data into the appropriate field. This means that employees just need to take a picture, verify that the data is correct, and then hit submit. Because end users have two options for completing their reports, they can choose how to submit their timesheets and expense reports in the way that makes them feel most comfortable. Whether they prefer the app or the desktop version, full functionality is available in both interfaces. The result is that there’s no reason to procrastinate in submitting their administrative work and they get their submissions in on time. All-in-one time and expense provides organizations with a single-system platform for their employee reporting needs. This system brings together not only timesheets and expense reports, but also billing, accounting, payroll, HR, and credit card feeds. Data moves both ways to keep all systems updated without having to manually import/export and configure data by hand. Automated compliance software can be a game changer when it comes to timesheets and expense reports. Managers can spend endless hours checking and verifying each submission against company policy, government rules, and even requirements set by individual contracts. Automated compliance makes it possible to input policies into the system and then allow submissions to be automatically validated against those policies before it even arrives in the approval queue. Submissions will be accompanied by information about which policies were met and which policies were failed. If there are too many rejections, the submission will automatically be sent back to the employee with notes for corrections. Tracking projects can also be a major source of administrative strain. Each project can have its own budget and its own rules/policies based on the project. Managers can get a better grasp on their projects by restricting or assigning those projects to specific employees. At the end of the project (or anytime during the project), approvers can also relevant data concerning that project to help stay on budget and make better informed decisions about similar projects in the future. Reporting provides essential valuable, actionable insights about what’s happening in the system in real time. Many organizations are working to simply maintain and manage, which reporting/analytics give managers the power to look ahead based on what’s happened in the past. 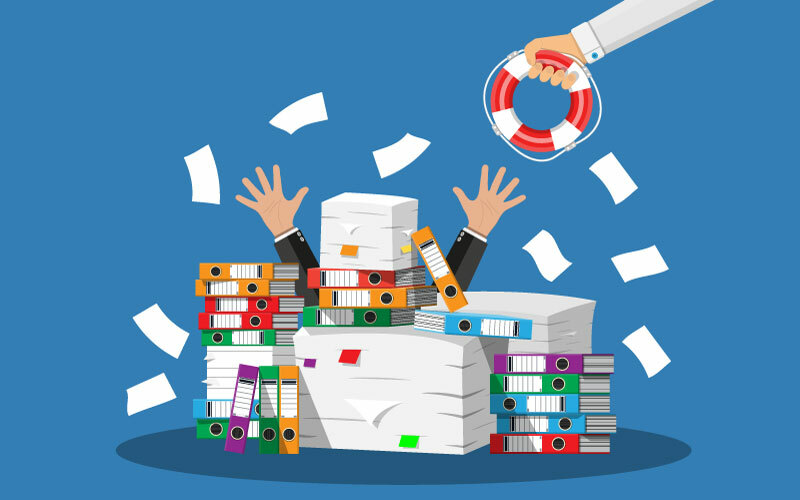 Paperless time and expense gives administrators the data they need about their projects and employees to make adjustments as they go or to make decisions about similar projects in the future. With both end users and managers as essential parts of the system, finding the right time and expense solution is a matter of meeting the needs for both. Look for a system that can provide these benefits for both your employees and administrators.